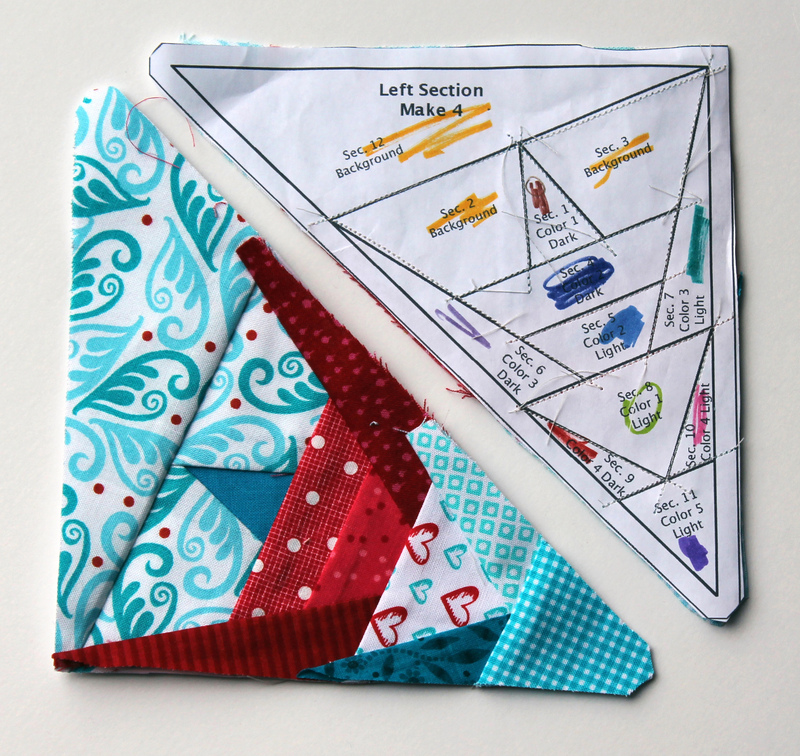 Wow I can not believe I am already ten posts into paper piecing Monday, and I am coming to the end of the wonderful patterns by Quilting on the Square. 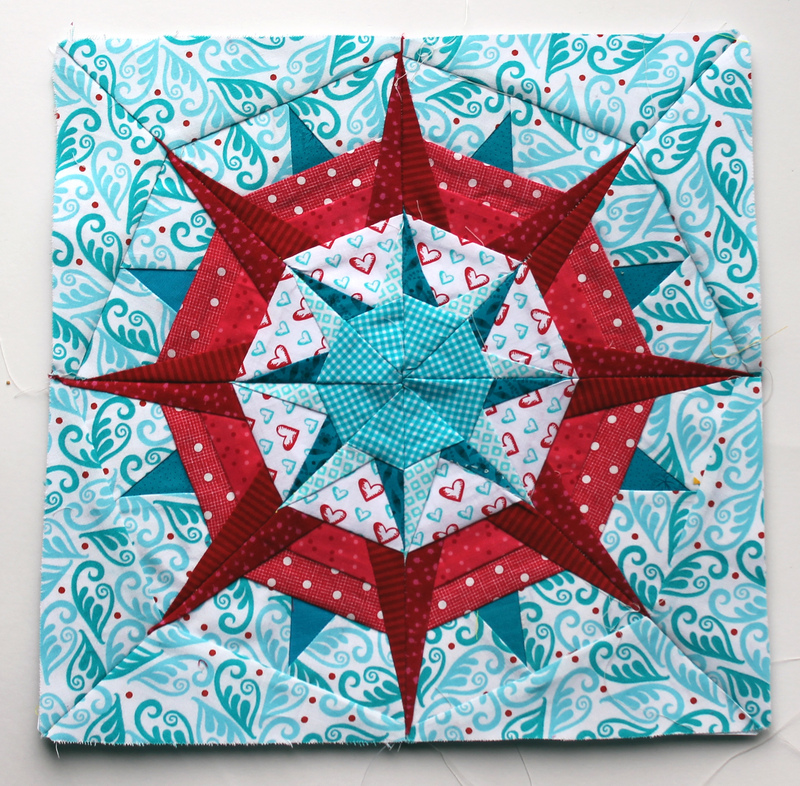 I have found some more patterns that I love and will be sharing in the coming weeks but for now we have another compass star. As mentioned it is another Quilting on the Square pattern which you can download here block3wheeloffortune. If I was to do this block again I would make some different fabric choices. I love the background fabric but I think the two fabrics in the red border are not different enough (more contrast is needed). I must admit at times I have trouble envisioning how the block will come together and there have been quite a few stars that I would like to redo. I am amazed by your paper piecing. I can’t wait to see all the blocks together! This is the kind of block that makes me want to try my hand at paper piecing again! It is gorgeous!